Cyber Monday promotional offer limited to the first 100 basic members that use the case sensitive promo code CyberMonday11 to upgrade to a professional monthly account by 11:59 PM EST, November 28th. 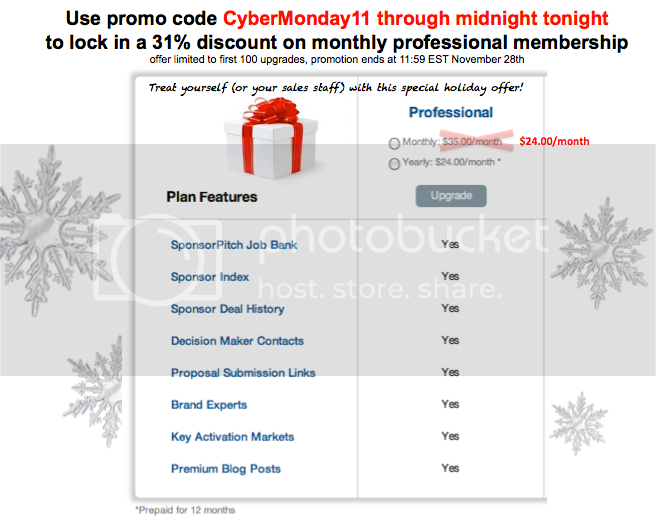 First enter the code for the monthly professional option, then you must click check code? to confirm you're promotional rate. Once confirmed, the price will change to the $24.00 rate and you can press checkout to get the special rate.